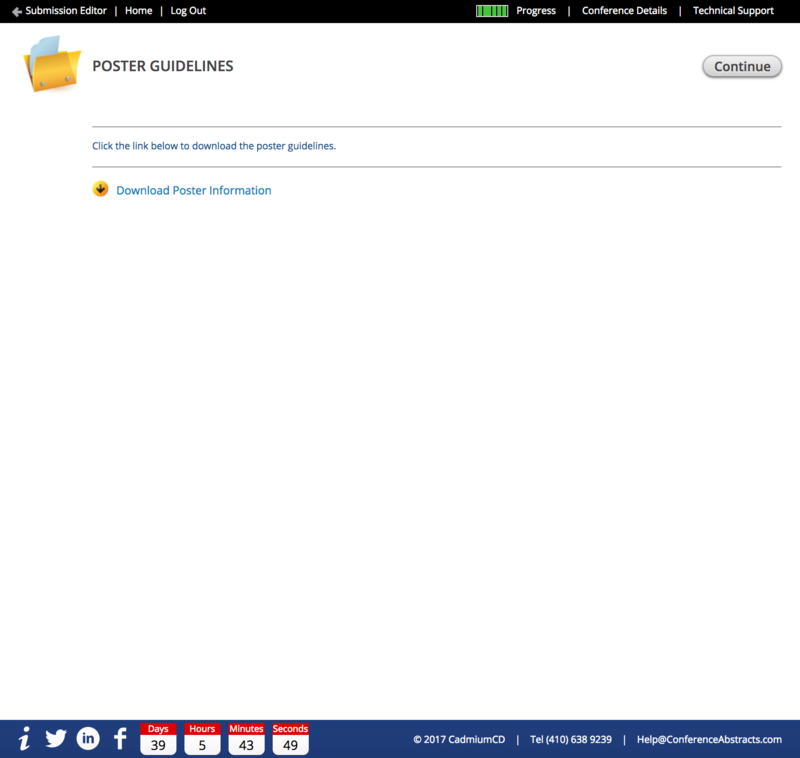 Collect the presentation description or abstract body. Apply word/character minimums and maximums. Turn on a rich text editor to collect special characters. 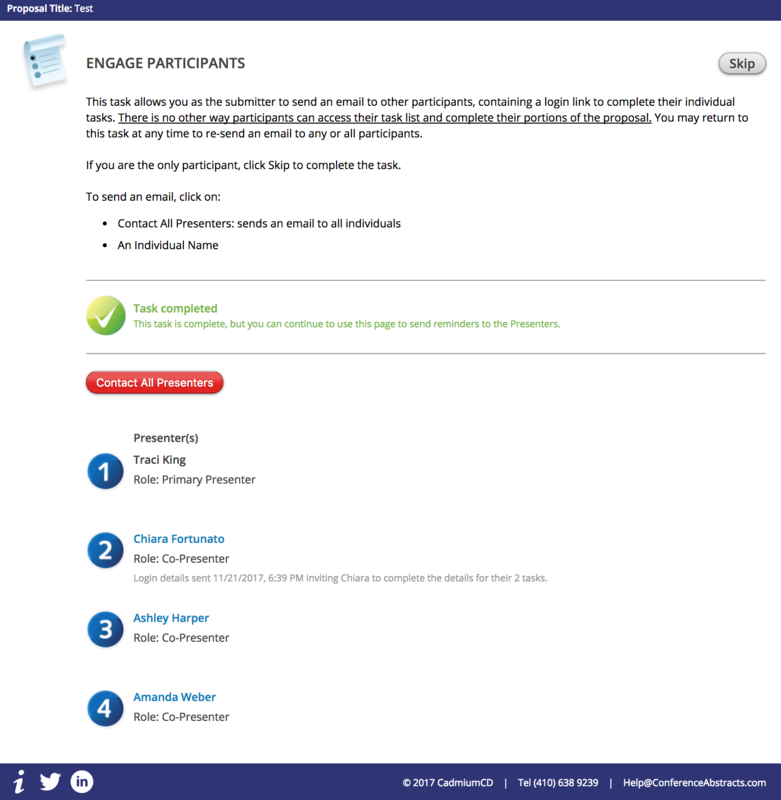 Add and collect information directly related to each participant. 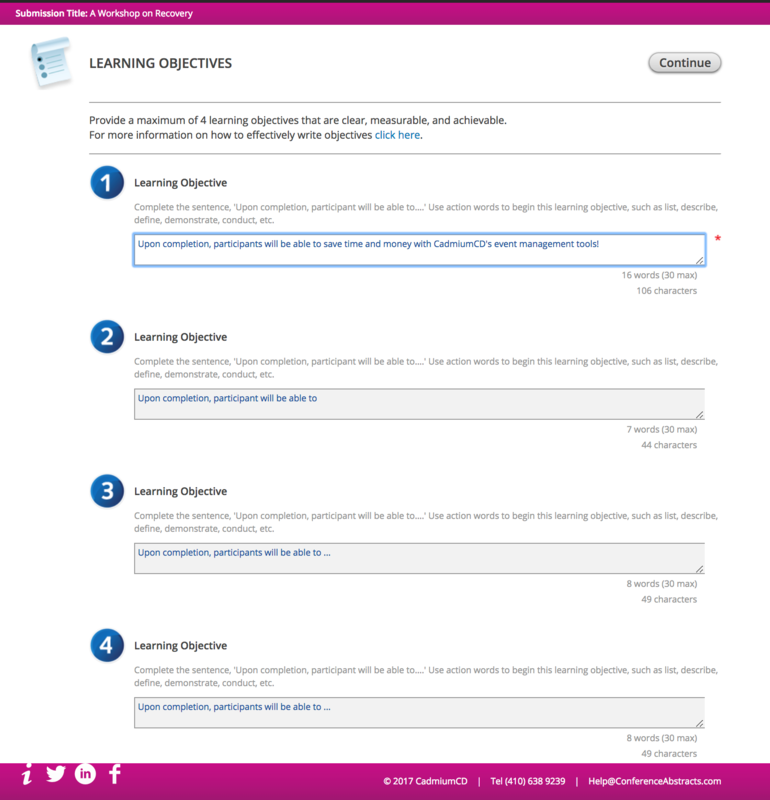 Identify participants role(s) and enforce role minimums and maximums. Information can be entered by the submitter and/or by the participant themselves. Up to 30 participants can be listed on a single submission. 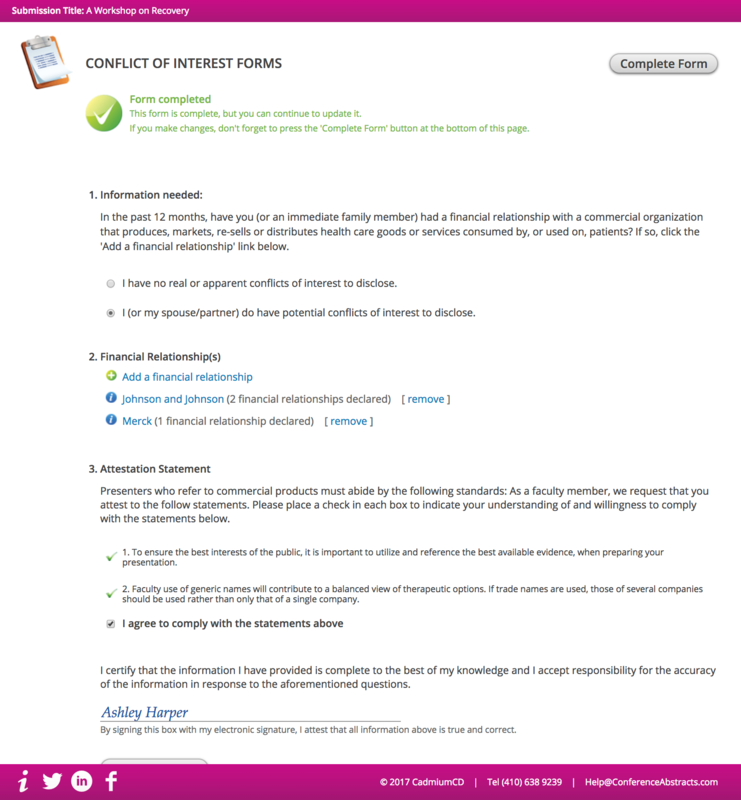 Require the submitter and/or listed participants to sign off on an agreement. 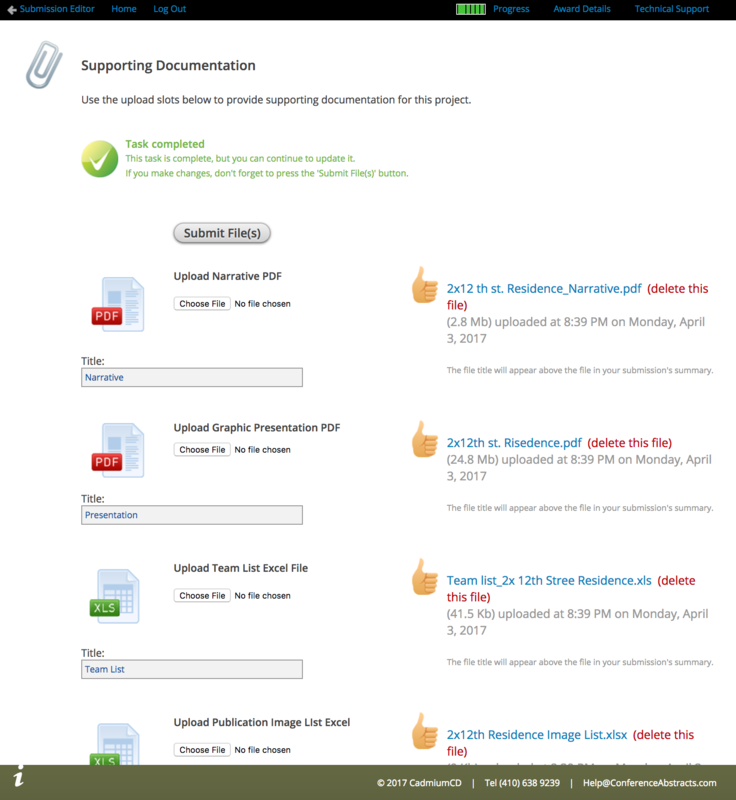 Require submitters to download a file such as submission guidelines or a template. 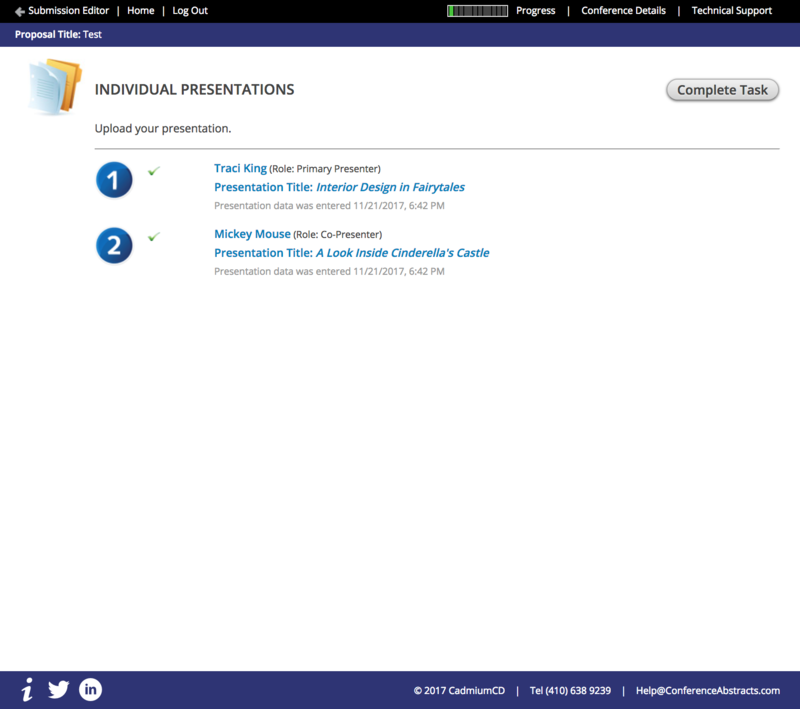 Collect succinct statements that describe the presentation's takeaways. 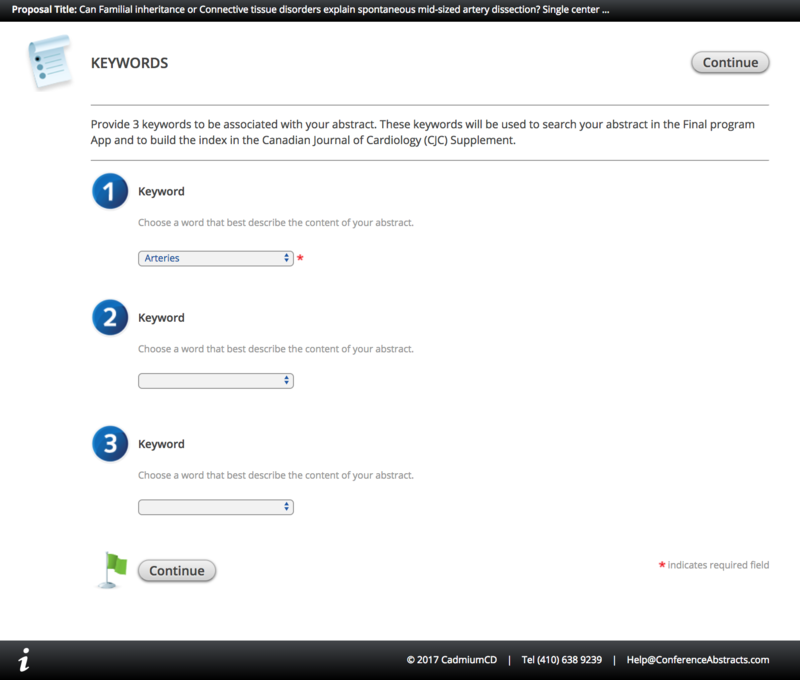 Allow submitters to respond to up to 200 customizable questions in several different formats (e.g. checkboxes, date picker, time picker, dropdown, long response, multiple choice, quantity, short response, true/false, yes/no). 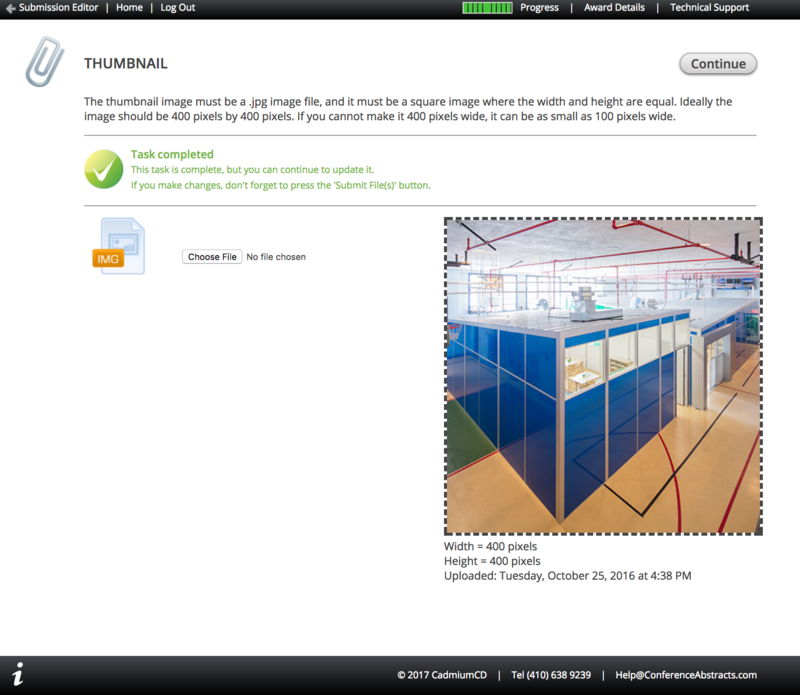 Submitters provide a square 'thumbnail' image for their submission. This will appear at the top of the review scorecard for each submission. Accepted file formats include MS Word Extensions, MS Excel Extensions, MS PowerPoint Extensions, Image Extensions, Multimedia Extensions and Other Extensions. Multi File formats can be enforced. Uploads can be required and/or optional. Upload titles and captions can be collected. 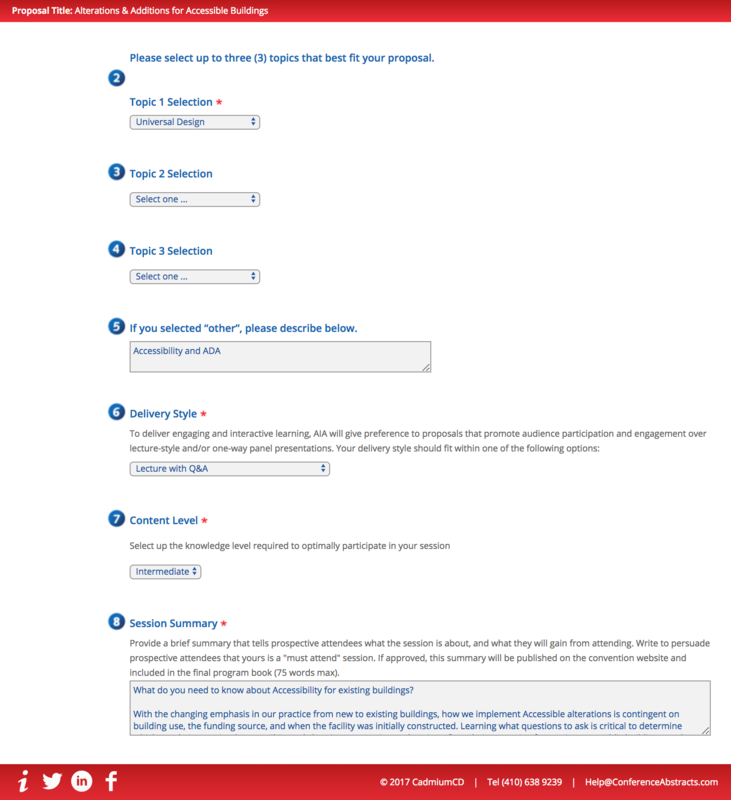 An opt out box is available. Recommended maximum file size (15 Mb). 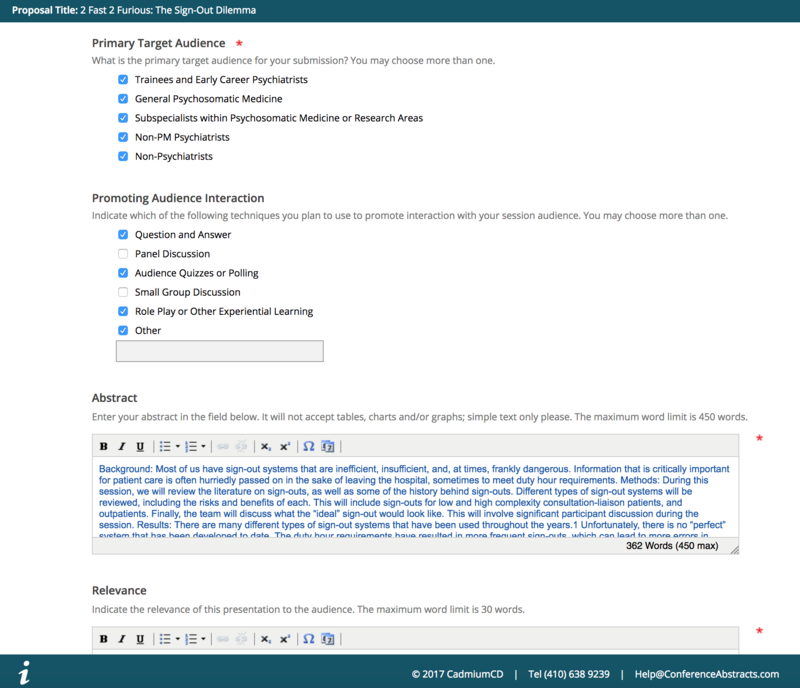 Submitters invite participants to login and complete individual tasks, including personal details, disclosures form, permission forms, and uploading individual presentation data. 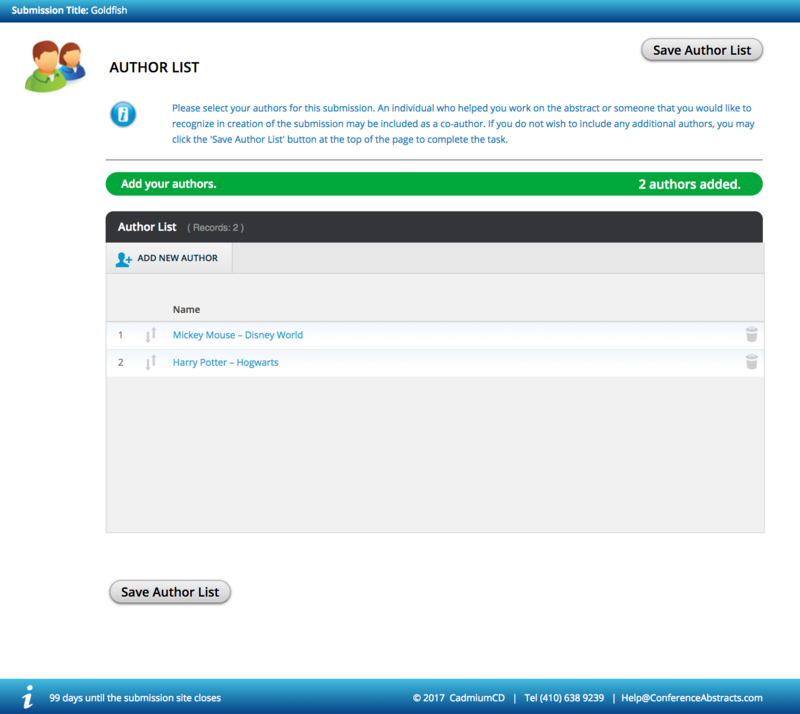 Submitter can create a list of up to 30 authors to include basic personal details. Participants elect whether or not they have any relationships to disclose. If so, participants can list relevant organizations and their financial relationship held with that organization. Participants can be required to attest to an array of statements and provide their electronic signature. Used for collecting identifying items such as keywords. Collect payments for submissions. CadmiumCD charges 5% to process through Braintree. 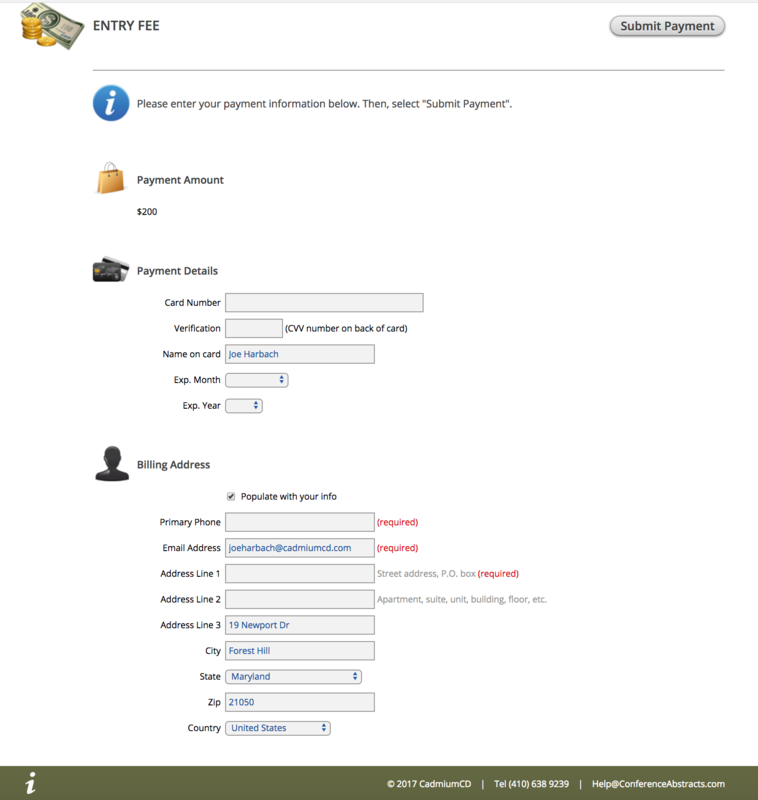 Submitters can receive receipts and refunds. 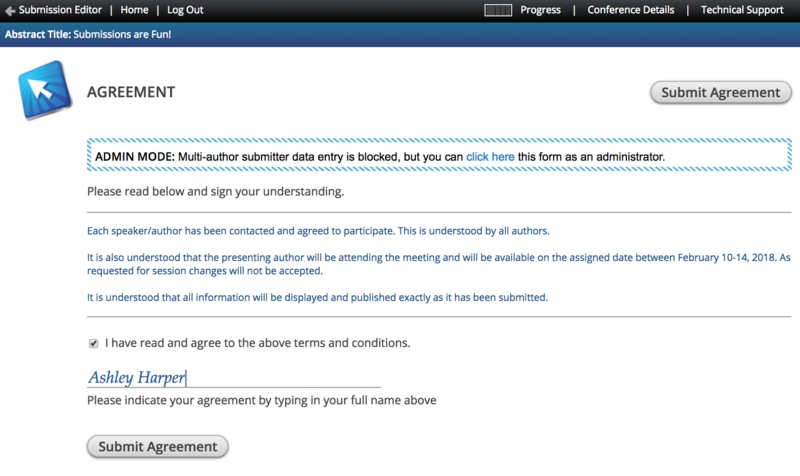 Multiple individual abstracts within a larger submission, typically used for symposia submissions. Similar structure as Abstract Task. 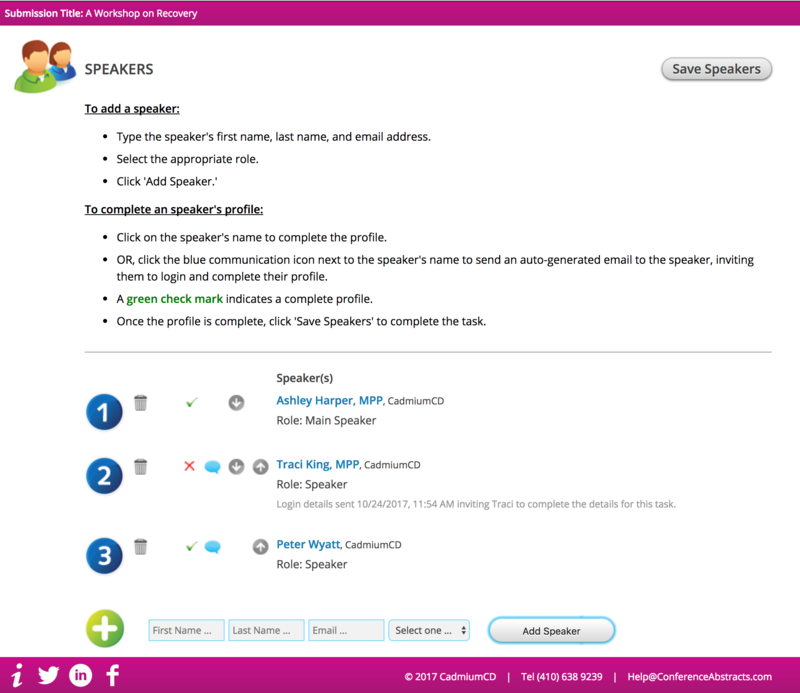 Submitters have the ability to turn on a multi-author completion within the task, so individual presenters can add presentations. 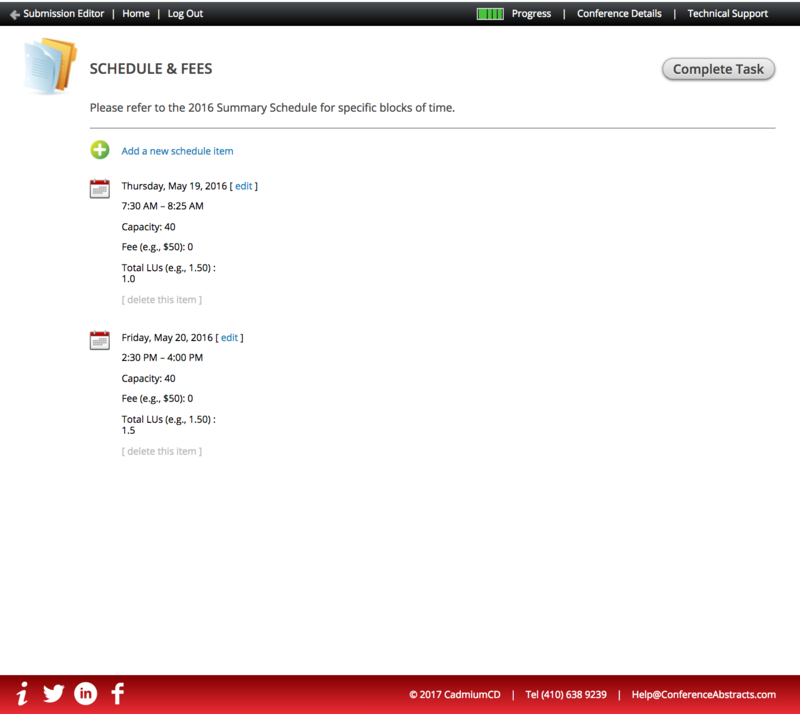 Submitters enter preferred scheduling information, including date, time, capacity and comments. 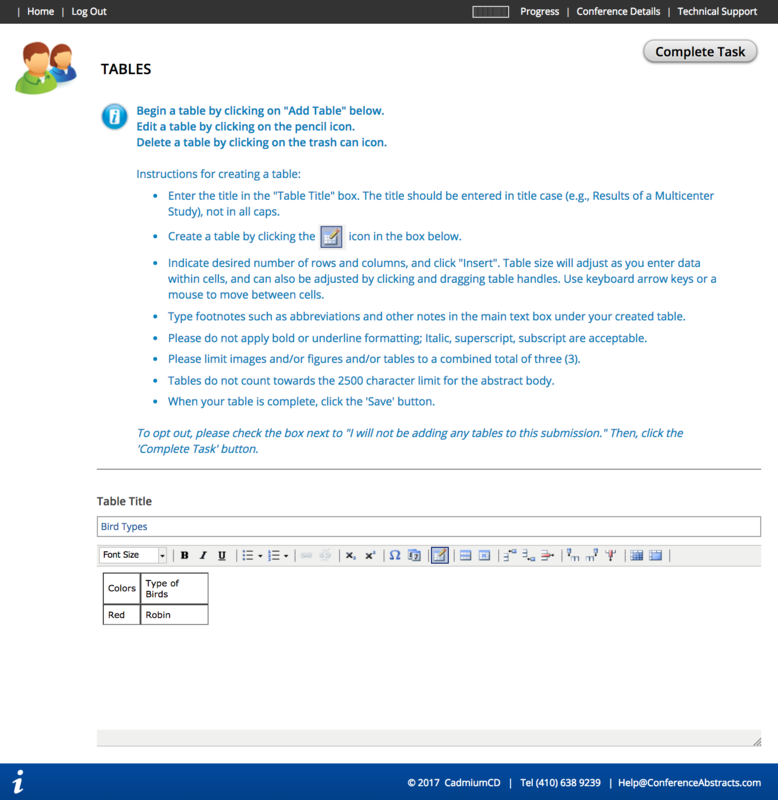 Submitters can build and submit a table using a text editor. Maximum of 10 tables, collect titles for each.